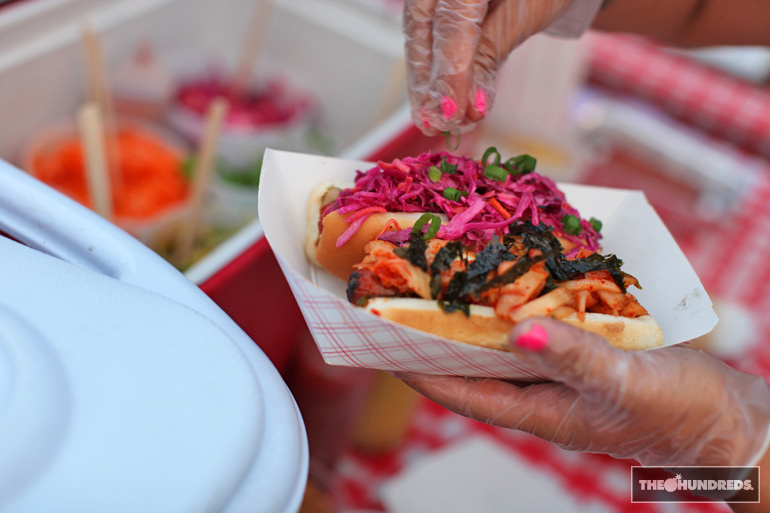 With all the crazy Korean food mash-ups going on these days, it was only time before someone started mixing the Kimchi and Bulgogi in with the great American hot dog. 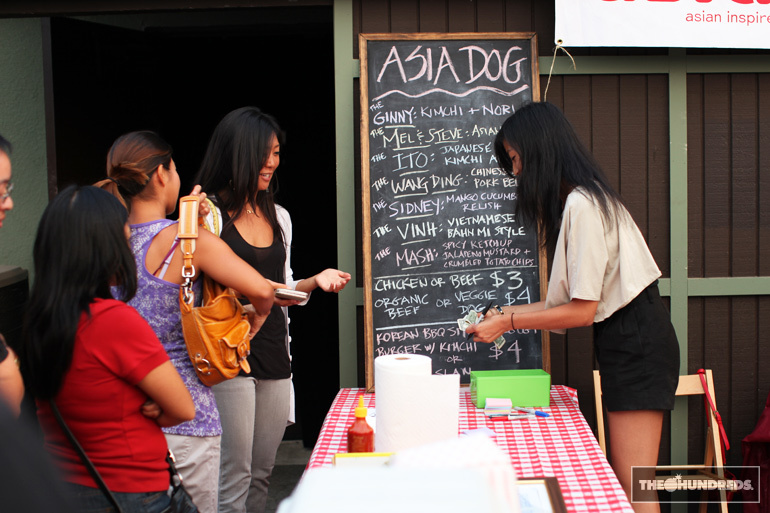 Asiadog‘s been at it for a while out in New York, popping up throughout the week at different bars and local haunts.. Classic summertime BBQ style, with a homemade Asian fusion twist. Tofer had been telling me all week that on Thursday, the Asiadog crew was making a 1-night appearance here in L.A, so I made my way over to see what all the hype was about. 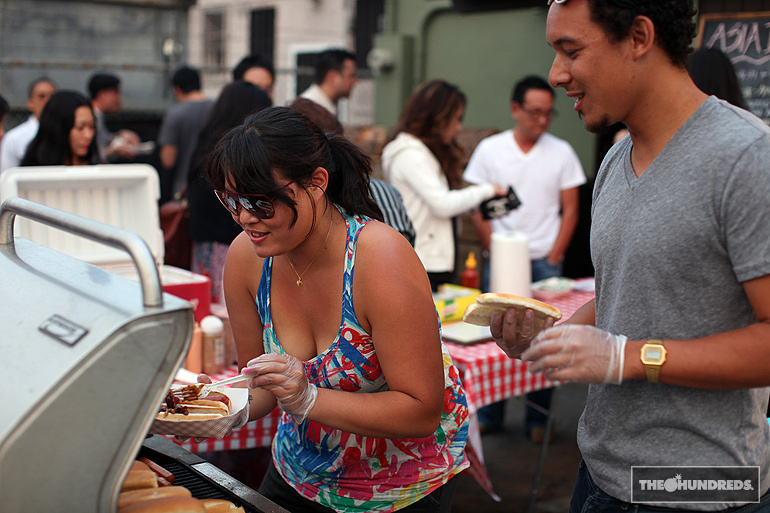 The menu consisted of Asiadog’s signature weener sandwiches. 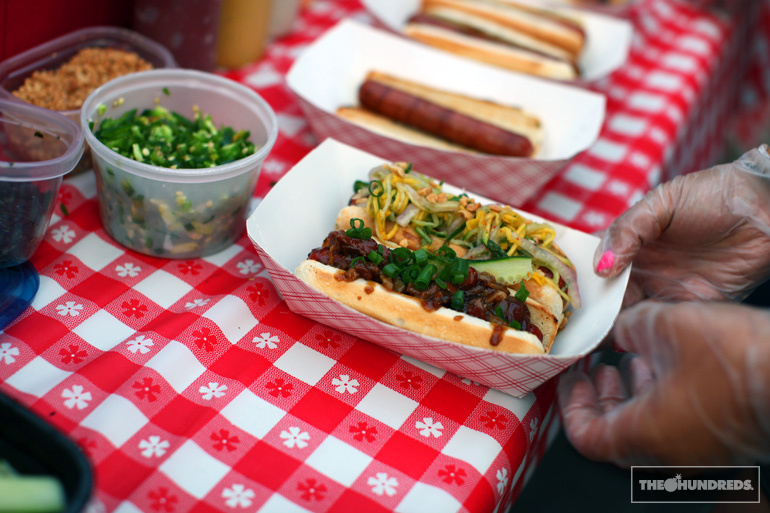 Japanese curry hot dogs, Vietnamese Bahn Mi hot dogs, even a Chinese pork belly hot dog. I know what you’re thinking. 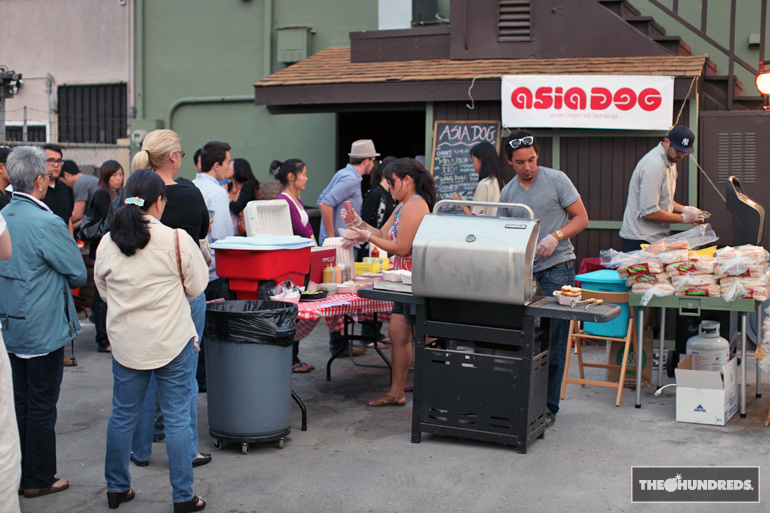 Asian fusion hot dogs could be super awesome or horribly wrong. The verdict: SUPER AWESOME. Melanie Campbell and her boyfriend Steve (not pictured) started Asiadog out in New York and are more than happy to introduce Angelenos to their unique flavor. I also caught my man Ian helping the family out behind the grill. From what I understand, they breezed through 400 dogs within the few hours they camped out behind Bigfoot West on Venice Blvd. Not sure when they’re gonna be back in L.A., but stay tuned to their Twitter page to see where they’ll pop up next in the Big Apple.